Sirius XM’s $2.7 billion all-stock offer for internet streaming rival Pandora doesn’t appear to create immediate value for shareholders. The two companies may even overlap too much. Scale does, though, give controlling shareholder John Malone a hope of squeezing record labels. 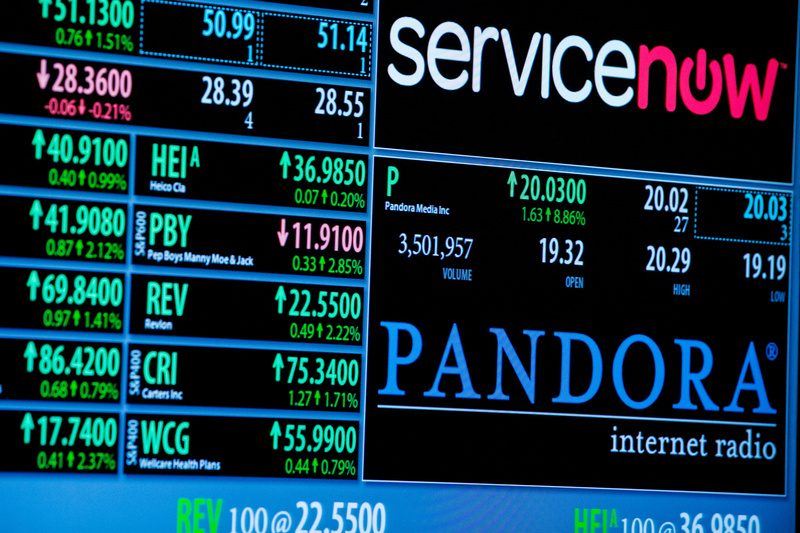 A screen displays the name of music streaming company Pandora on the floor of the New York Stock Exchange shortly after the start of trading in New York July 1, 2013. Satellite radio firm Sirius XM, the subscription satellite radio service controlled media mogul John Malone’s Liberty Media, is buying music streaming service Pandora Media for roughly $2.7 billion in an all-stock deal. Sirius is offering just over 1.4 newly issued shares for each Pandora share, equivalent to a price of $10.05 a share, based on Sirius’s closing share price on Sept. 21. That represents a premium of roughly 11 percent to Pandora’s closing price on the same day. Sirius XM shares were down 5.8 percent at $6.57 by 10:42 a.m. EDT. Pandora’s shares were up 4.7 percent to $9.52.